Before founding Venturesomething Ronald worked over 10 years for Philips. His last role at Philips was Global Director Marketing & Business Development Espresso. Before that he has worked in a wide variety of disciplines, that all contributed to the required broad set of experiences that he now uses to coach companies to accelerate their business. With Venturesomething Ronald supports companies to strengthen their marketing strategies, develop unique and differentiating positioning strategies, accelerate through continuous improvement and customer validation in the full business model. 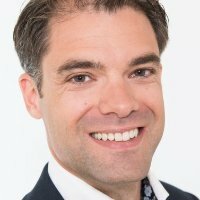 Ronald is mentor in leading accelerator programs like StartupBootcamp, IBM Smartcamp, and Startupweekend Next Amsterdam. Ronald believes that the only way to success is to do what you truly believe in, what you are really good at, and to execute with great passion. Especially for startups!